What Makes "Choosing E-Wedding Invitation" a Rational Choice? What Makes “Choosing E-Wedding Invitation” a Rational Choice? Do you too drool over the exceptional designs of E-Wedding Invitation Cards? Are you too thinking of choosing the digital mode as E-Wedding Invitation Cards as your beautiful Indian wedding card? Well congratulations, you just have made the right decision. If you aren’t that sure and juggling between choosing traditional invites or E-Wedding Invitation Cards, here is your answer. Cost is one big factor to consider before choosing the type of wedding invites. If you too are concerned about the cost then E-Wedding Invitation Cards are surely a smart choice, the digital Indian wedding cards can help you in saving as they are available at significantly lower prices. The traditional Indian wedding cards demand paper copies, along with the cost you need to incur on a template, designing, the perfect layout, the calligraphy font and lot more. Not only that, but postage cost also adds up to the cost of traditional wedding invites. But there is no such case with E-Wedding Invitation Cards. What makes E-Wedding Invitation Cards the popular choice among young couples? The answer is that digital Indian wedding cards guarantee a higher rate of deliverability. In fact, it features assured deliverability over traditional Indian wedding invites. In fact, if there are fewer chances that you can miss out on any guest from your guest list. Moreover, in case of any typing error in the email address, you will automatically be reverted back with a mail informing you. This makes the E-Wedding Invitation Cards, a smart choice over paper wedding invites. The paper wedding invites can get missing in the mail or can be overlooked, but there are no such issues with digital wedding invites. You are ordering the wedding dress as per the latest trends. Your accessories are all as per the new trends in the industry. From decorations to food, from mehendi designs to dance forms, when everything is so trending in your wedding, why choose the traditional paper invites? These days, everyone is online. From your relatives to your friends, everyone can easily be connected through online modes of communication. With the help of professional E-Wedding Invitation Cards designer, you can design your invite that can be sent easily. It promotes flexibility in organizing your wedding along with simplifying the whole planning. No, we are not talking about random people, but the people your send your E-Wedding Invitation Cards. One of the biggest advantages of digital Indian wedding cards is they are easily accessible by anyone. Your guests can easily access all your wedding details and can even chat with you concurrently. These days everyone is on their Smartphones for most of the time. 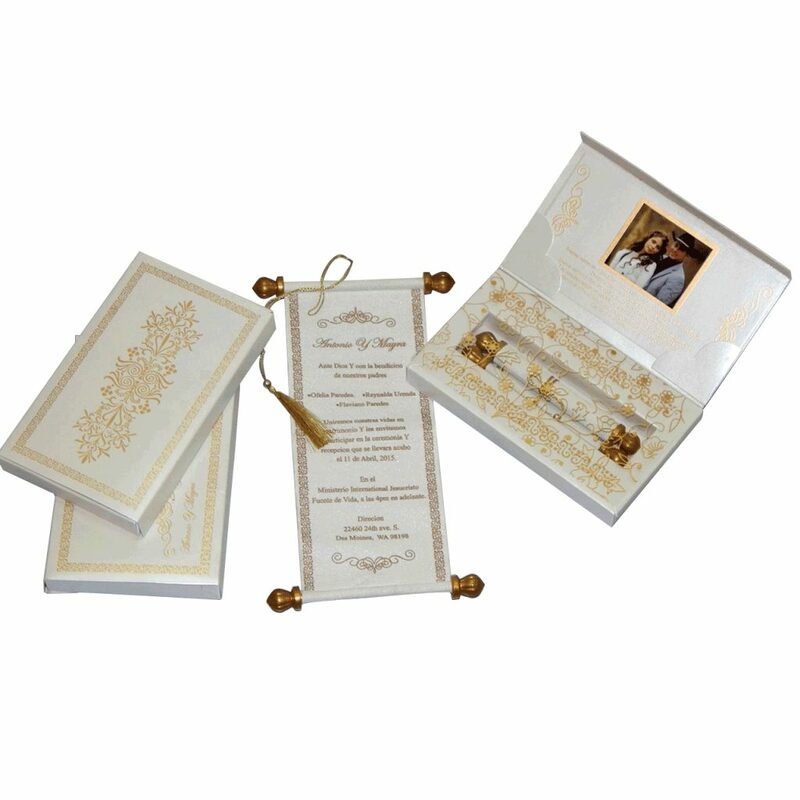 As per the trending framework, E-Wedding Invitation Cards serves as the smartest choice.